Diggin' To China is happy to start a new series of articles chronicling pioneers of queer arts and culture:Light From Underground. Cult heroes you may have forgotten, or never known, but who's important legacy have a lasting impact today. Deciding who went first, I chose arbitrarily. All have equal weight and value in my opinion. All are required listening/reading/viewing. So the debut underground hero is no other than the musical anomaly/genius that is and was Klaus Nomi. 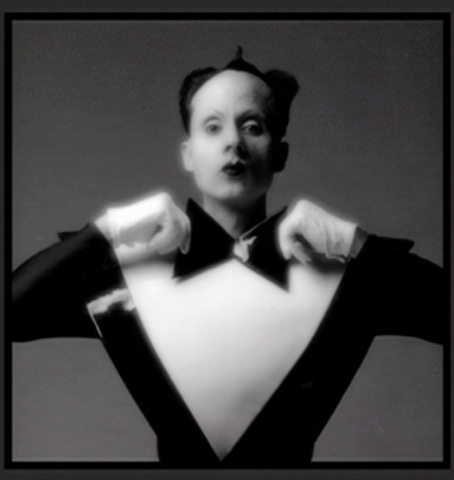 Klaus Nomi was so far ahead of his time I'm still not sure pop music has caught up to the German born countertenor from outer space. His signature looks, his early adoption of synth music and his glam extraterrestrial persona make this uniquely queer performer unforgettable. His influence can be seen from people like David Bowie (who he sang "The Man who Sold The World "with on SNL) to The Dresden Dolls front woman and Icon in the making Amanda Palmer who's stage garb bears the visage of Nomi. Nomi was a cult figure in an age of brash bold innovators. Mixing camp, classical opera, pop music with punk rock, early new wave and performance art in a way that we wouldn't see again in pop culture until the likes of Björk. 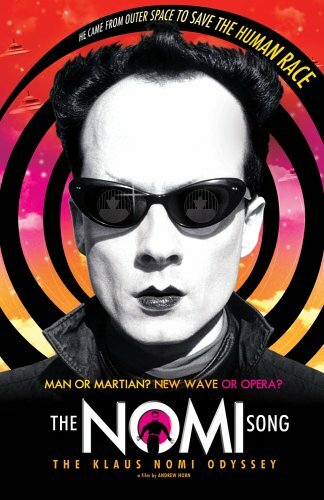 In 2004 Andrew Horn made the critically acclaimed documentary, The Nomi Song, a heartbreaking and brilliant look back at the life career and legacy of Klaus Nomi . The film has helped many discover Nomi who was a cult favorite in New York and in France and was at the epicenter of New York City's avant-garde art and punk rock movements in the late 1970's. The importance of individuals like Nomi can't be forgotten. Being true to one's self and one's art is brave in a way so few people realize, It's a brutal world that tells you to conform and that all other avenues of expression are wrong and so few truly have what it takes to blaze a trail so singular. Klaus Nomi was an outsider, but as an outsider he makes those who hear him feel as though they have fund someone with whom they can belong.